Following a series of dedicated training courses, Actisense the multi-award winning NMEA specialists, have now qualified Poland’s first basic NMEA 2000 Installers. The newly qualified installers include Pawel Pojawa of Airmech and Piotr Cywinski of Navinord. Giving the wider European marine electronics industry greater access to specialist NMEA 2000 qualifications, Actisense training courses have attracted marine electronics distributors and installers from across Europe. A notable success and a landmark for the Polish marine electronics industry, the popular courses have enabled Poland to gain its first accredited NMEA installers. Actisense Technical Support Engineer and Training Coordinator, Owen Vachell, has been responsible for leading the training courses within the custom-built training centre at Actisense in Poole, Dorset. Owen is the only person outside of the America’s to hold the Advanced NMEA 2000 Certificate. He attended the course himself and achieved the accreditation in the USA at the beginning of 2017. 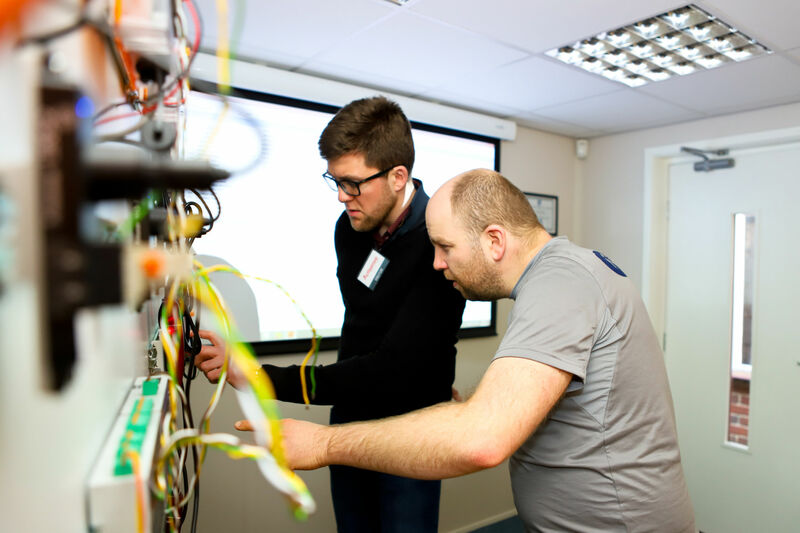 Combined with the NMEA 2000 qualification, training course attendees have the opportunity to become an ‘Actisense Accredited Installer’ (AAI) as the NMEA specialists have created their own course designed to help improve users understanding of their technical products. Members of the National Marine Electronics Association (NMEA), Actisense creates intelligent marine electronic products that have seen them become recognised globally for their sophistication and reliability. Building their international reputation, these products are now exported to over 70 distributors in 40 countries. NMEA Conference 2012, improved by strife?